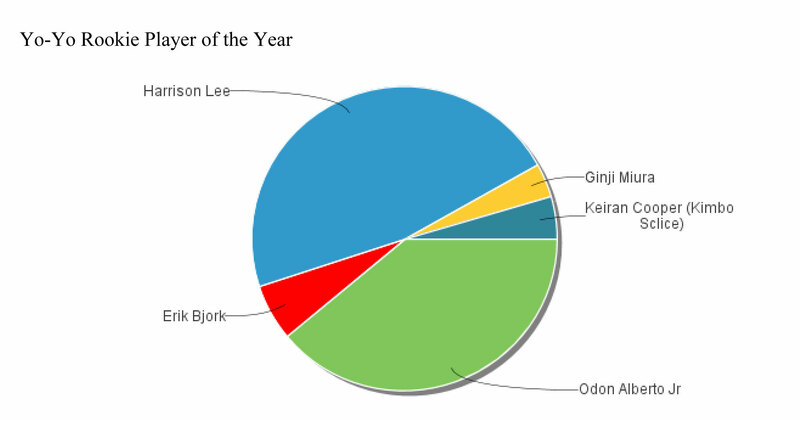 It has been a great year for yoyoing, and after nearly a full month of nominating and polling, the results of the 4th Annual YoYoSkills Best Of Awards. 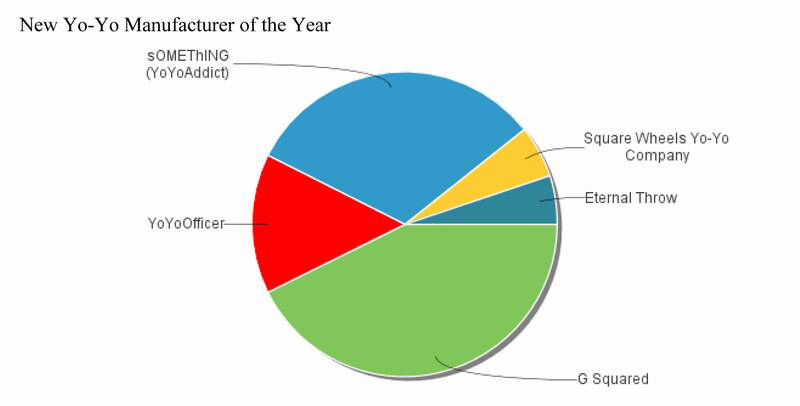 Earlier this month, I asked for nominees and after racking and stacking over 300 emails I put up the top 5 in each category and opened the voting. 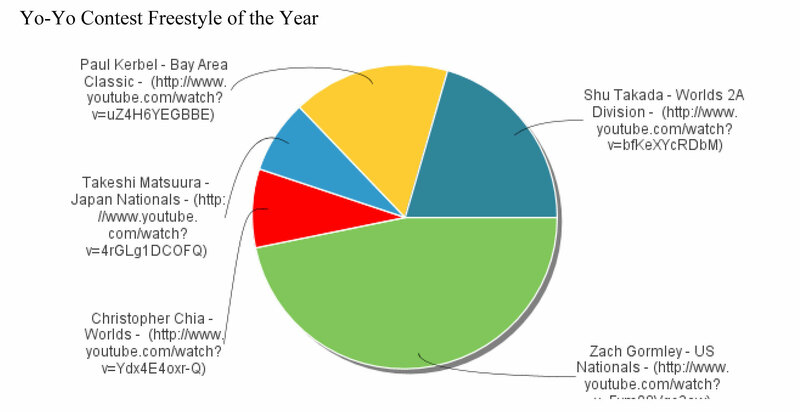 We had 6745 unique votes based on computer and IP information from all over the world, and here are the results. In the comment section, feel free to voice your opinion but please keep it respectful. The map above shows where this years votes came from. 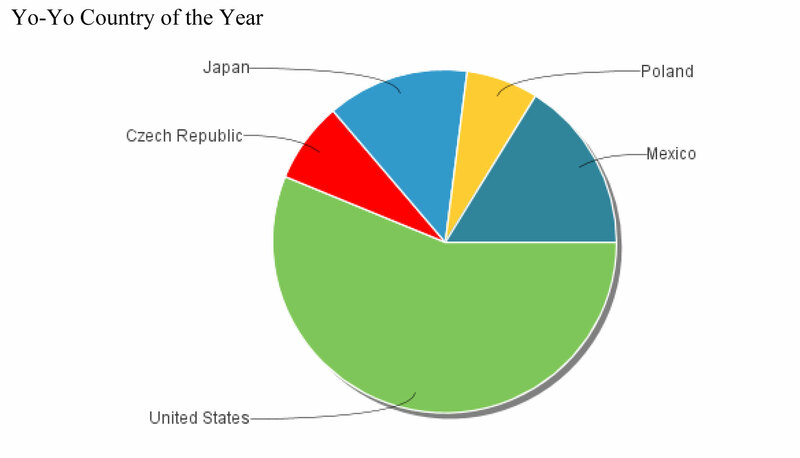 Approximately 40% of this years votes came from the United States, followed by 35% from Canada. The remaining 25% is spread out across 65 different countries from China to Chile. 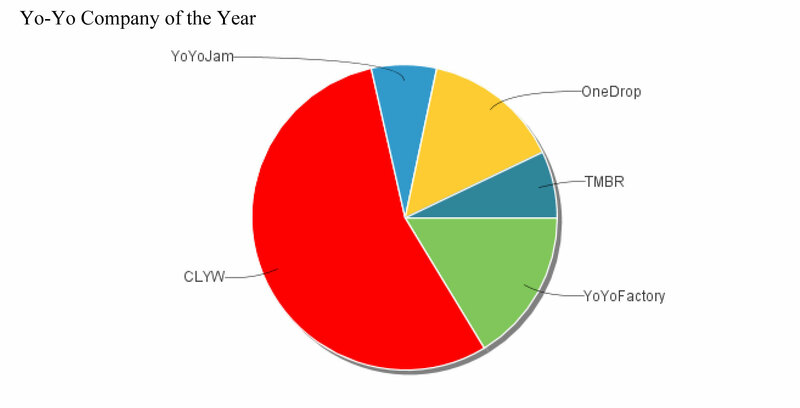 I feel that the majority of these votes for the United States as Yo-Yo Country of they year likely come from the fact that YoYoSkills is mostly read by North Americans. With that in mind, 56% of all votes total came in for the United States which means that there were plenty of votes for the US coming from other countries. Zach Gormley, Andrew Maider, Petr Kavka, Charles Haycock, Abe Ziaimehr, John W. Robot, Palli, Pekka, Ernest Kahn, Alec Campbell, Mark Mangarin, Elliot Jackson, Boyd Seth, Adam Brewster, Alex Berenguel, Harrison Lee, David Kreibich, Ewelina Wejner…. Need I say more? 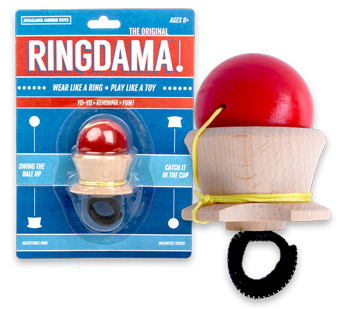 Late last year, CLYW designed a new yoyo feature with the Chief that has been adopted in 2012 by more companies than I can count. The double rim added stability and a new way to place weight without sacrificing flexibility. 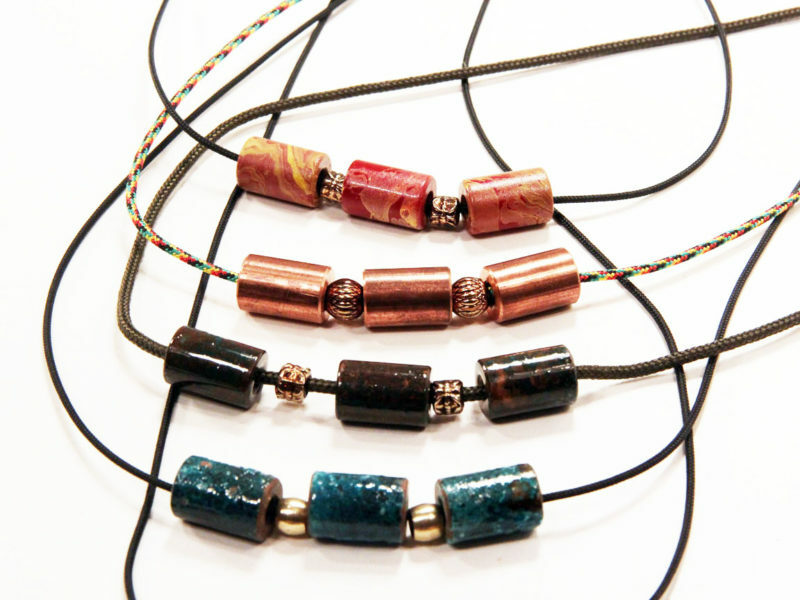 Chris also ramped up production by hiring OneDrop’s skilled machinists to keep supply up with demand and brought back Jensen Kimmit to run his packaging and distribution services. 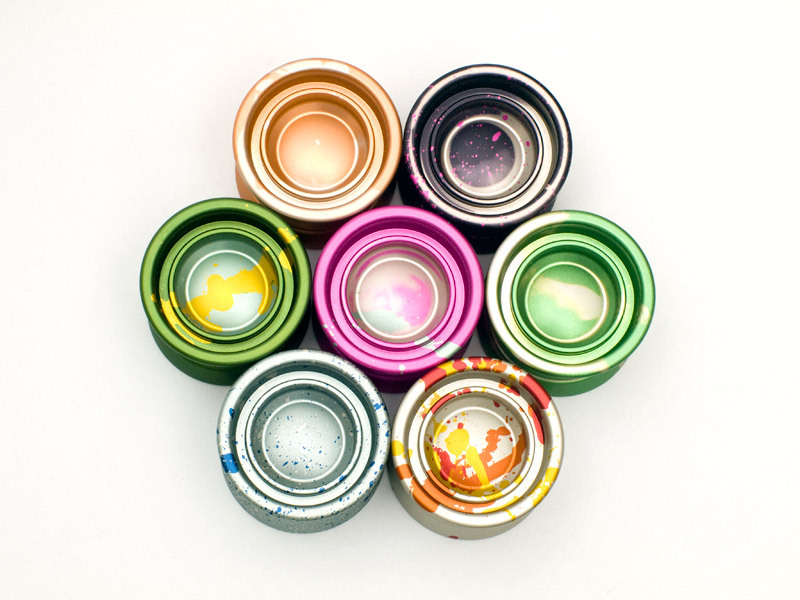 Combine these actions with a strong 2012 line, artwork by Jason Week, and a Player Team that is very well respected and you have CLYW as the Company of the Year! 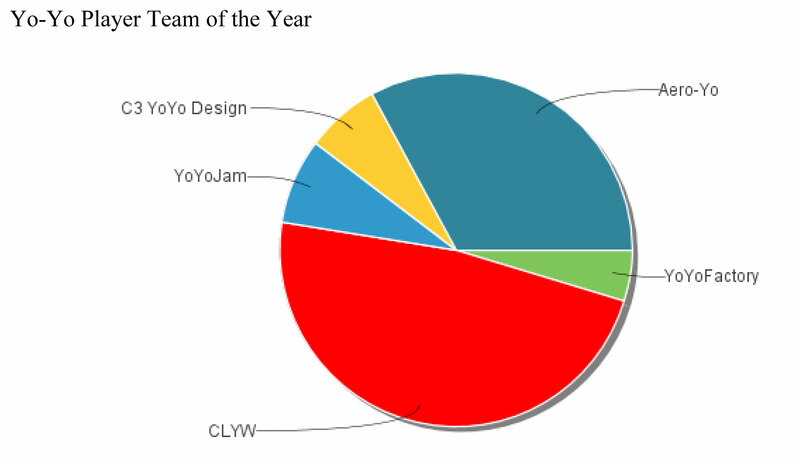 I should also mention, that CLYW had such a good year that collectively they took 7 of the 10 categories this year. When Brett Grimes and Jacob Gross came into the design world, I do not think that they anticipated the demand and success of their launch model the Albatros. 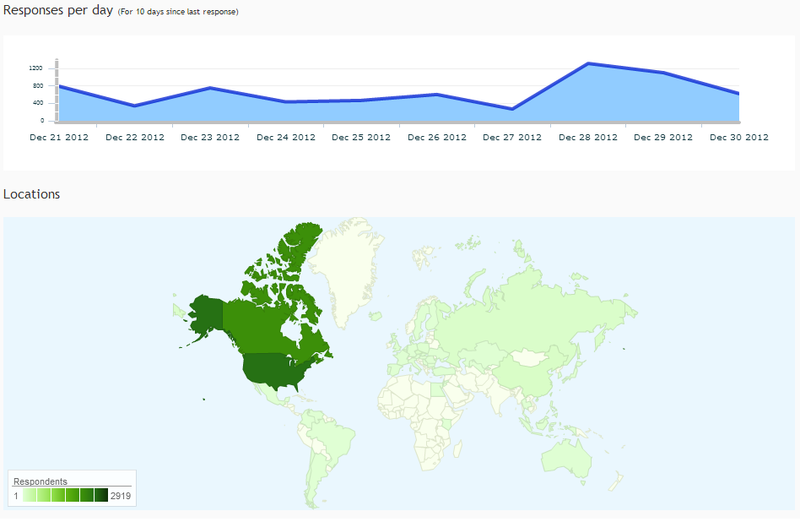 Followed up quickly by the Nessie, G Squared has fan loyalty and a yoyo community awaiting future designs and releases. A third honor for CLYW. The Arctic Circle combined the design know how of Chris and the skilled hands of OneDrop Machinists. 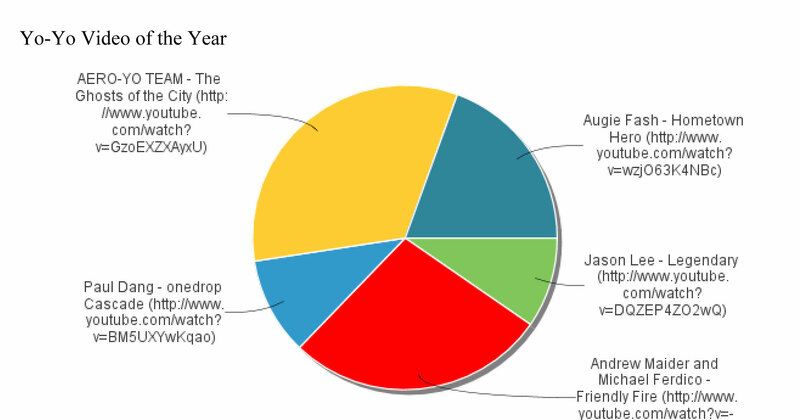 Interesting fact by the way, One Drop machined the top three vote earner this year. Not only were their incredible colorway options as seen above, there was also a limited run featuring the artwork of the very talented Jason Week. The Arctic Circle was a yo-yo not to miss this year. The Aero-Yo team is very impressive. They remind me of the talent assembled in Team High Performance. One of the things coming consistently out of the team are amazing videos and Ghost in the City is a prime example of just that. Congratulations to Ilya Shaposhnikov, Konstantin Moskvin, Evgeniy Kim, and Mikhail Kotsilov . I am going to consolidate this write up for Zach Gormley because I feel that the first two awards lead directly into the third. Zach has grown as a player in the most incredible ways. The most recent culmination was his freestyle and subsequent win at the U.S. National contest. Zach’s freestyle seen above set a benchmark in yo-yo contest history. It is a shining example that style and substance can beat trick combo speed runs. In 2009 Zach was named YoYoSkills Rookie of the year, and today I am happy to name him Player of the year and holder of Freestyle and Moment of the year. 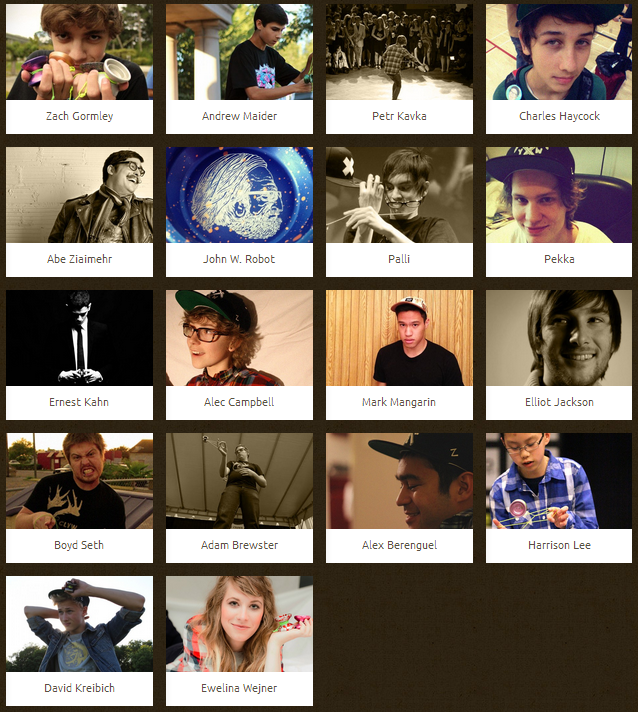 Allow me to pull the info on Harrison directly from his profile on the CLYW Team page. I don’t really know much about Harrison, except what I have seen from contests. I have a feeling that we are looking at a top ranking player in the next few years. 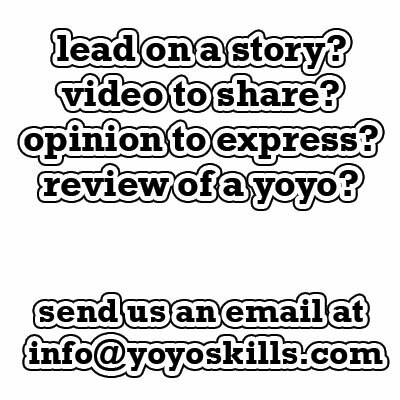 This category was created this year and the winner was chosen by the YoYoSkills.com Team. As I said in an earlier post: The above video is Mike yoyoing after a frighteningly long medical ordeal that nearly took his life on more than one occasion. For the last two months, Michael has been in and out of extremely invasive medical procedures and for a while was unable to move any of his fingers or toes. Micheal’s mother kept the yoyo community in the look on Michael’s Facebook page and uploaded videos of Mike Smiling for the first time, moving his toes, and reacting to things like footage of the National Yo-Yo contest. This is a video from a few days ago. Michael Lucas Cummings yoyoing for the first time since almost losing his life to a collapsed lung and a series of blood clots. Michael Lucas Cummings is an inspiration to the yoyo community and therefore, 2012′s Most Inspirational Player in the eyes of YoYoSkills.com. A Special thanks goes to Mrs. Cummings and the legion of yoyoers that visited, called, send gifts and prayed. Most of all, thank you to Michael, who reminds us how amazing the yoyo world is to have a community that rallies around each other in times of need and to not take for granted the hobby we all love. nevermind what i ssaid, i was rambling. Now I think of it, there’s not much representation on the other parts of the world. Yes, there are people in Europe and Asia who voted, but not as much as people in the USA/Canada. I feel that brought a huge skew to this poll.